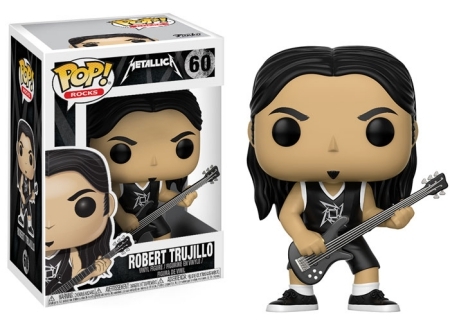 Honoring the heavy metal musicians already immortalized in the Rock and Roll Hall of Fame, Funko Pop Metallica features members from the band's current lineup. Metallica is arguably one of the greatest bands of all-time, and not just in regards to rock or metal, as the rockers are recognizable throughout the world. 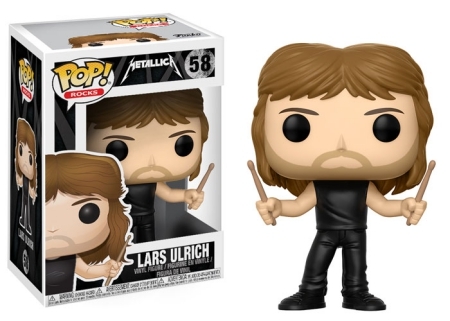 Forming in the early '80s after James Hetfield replied to a newspaper ad by Lars Ulrich, it is only fitting that the Pop Metallica figures lead off with these rock legends. 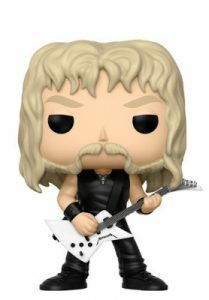 Shop for Funko Metallica Figures on eBay. 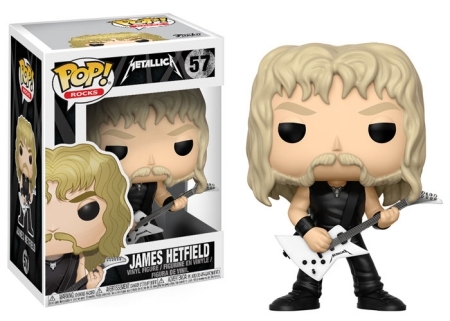 Offering long blonde hair and his classic mutton chops beard, the James Hetfield figure dons an all-black leather ensemble. He is also playing a white rhythm guitar with the Metallica logo done in the iconic font style. 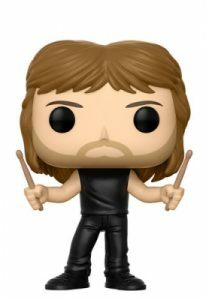 His fellow original member, Lars Ulrich has a five o’clock shadow and stands with a drumstick in each hand. 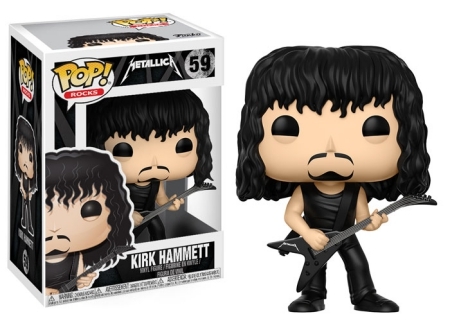 Funko Pop Metallica figures are part of the larger Pop! Rocks line, which is reflected in the box numbering.